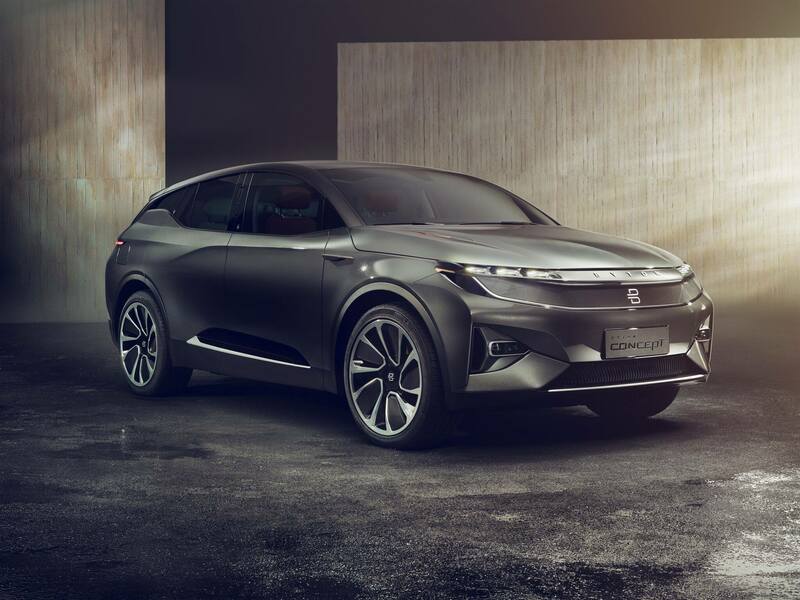 “Byton is radically transforming the very concept of driving,” said Breitfeld, who helped launch the Byton Chinese startup company just two years ago. Byton's SUV is “tailor-made for the future” and a “new era of mobility,” he said. And it's coming to market in 2019. The all-electric SUV with a $45,000 price tag and a $1 billion factory was driven on stage at the Mandalay Bay Convention Center by Byton CEO and co-founder Carsten Breitfeld, a 20-year BMW veteran who previously oversaw the i8 program, along with President and co-founder Daniel Kirchert, the former head of Infiniti China operations for Nissan Motors. Byton’s founders although modest in a display made no secret of their bold ambitions. Byton’s sleek, long-range electric SUV is jam-packed with technology to enable the connected, shared and autonomous driving experience that CES dreams are made of. Cameras and sensors eliminate the need for handles, keys and even mirrors. Inside, the vehicle can be controlled with hand gestures and voice commands through Amazon Alexa. It also features a single “shared experience” video screen that runs the entire width of the dashboard, plus three other displays, including a touchscreen on the steering wheel. The rear-drive base model -- with a starting price of $45,000 -- will come with a 71-kilowatt-hour battery and a 250-mile range. The higher-end version, the price for which was not revealed, will have all-wheel drive, a 95-kilowatt-hour battery and 325 miles of range." ← Looking for a clean job?